Head Honcho! 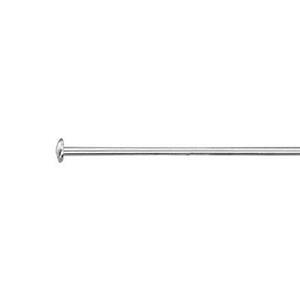 Our SHP23 – Bright Sterling Silver 24 Gauge – Domed Headpin! 4# Hard. 3 Inches - A little longer than most normal Headpins – but it will give you greater ease and flexibility in wire wrapping beads to our Sterling Silver Footage Chain. Be the Top Dog, the Big Kahuna, the Headpin Honcho in Charge of your Jewelry Designs! I've been using these headpins for 15 years. Love them!